All musical theater professionals from all different fields are warmly invited to become members of the Academy and to help form it, thereby strengthening and supporting the genre musical in general. Members support the goals of Academy, take part in the various events and are eligible to vote for the winners of the annual German Musical Theater Award. Eligibility for a Full Membership is restricted to all natural persons working professionally in the creation, production and marketing of musicals. Institutions are granted an Associate Membership. Companies, institutions and private persons not professionally engaged in the production of musicals but who wish to support the genre are also welcome to become associate members. Full members decide the winners of the German Musical Theater Awards and can profit from the exclusive events and workshops presented by the Academy and can take advantage of its extensive network possibilities. 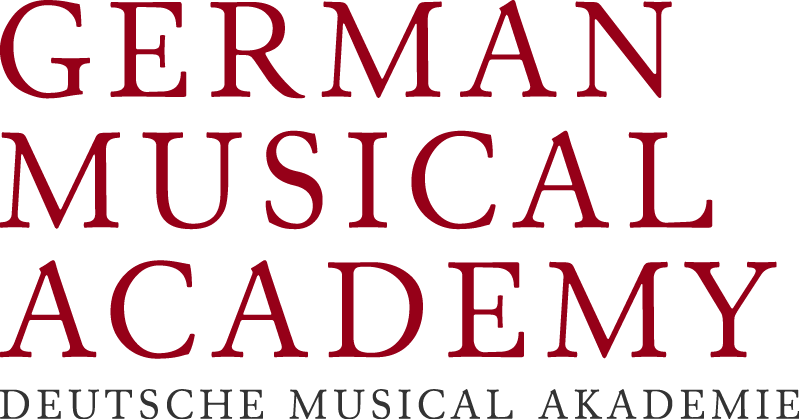 The German Musical Academy is a non-profit organization and membership dues are tax-deductible. The German Musical Academy recognizes 3 forms of membership. Full Members of the German Musical Academy are private persons, who work professionally in the areas of creation, production and marketing of musicals. They are entitled to vote both at the annual general meeting and for the winners of the Musical Awards. In addition to reduced rates for events of the Academy and price reductions for programs sponsored by participating partners, Full Members are automatically entitled to a Social Memberschip in the Actors Centre in London. Full Membership costs an annual fee of 60 Euros. Associate Members of the Academy support the goals of the Academy through their membership. They receive also the benefits of reduced rates for Academy events and reductions for programs sponsored by participating partners. Associate Membership costs an annual fee of 60 Euros. .
Companies and institutions who wish to support the Academy are invited to apply for an Associate Membership. The annual fee amounts to 120 Euros (tax-deductible).